It’s the 80’s party of the year and we’ve got your free tickets! Jack to the Future – the 80’s party at Jack Casino Cincinnati is Saturday June 15th and you can use your WGRR V.I.P. fan club account to win a four pack of tickets. Awesome 80’s music and videos, plus lots of 80’s contests and prizes. Enjoy fun 80’s themed drinks like The Purple Rain and Blood Orange Lemon Drop from Effen Vodka. Tickets are available now and use your Fan Club Account to win a four pack! 10% of all ticket sales benefit the Jeff Ruby Foundation. 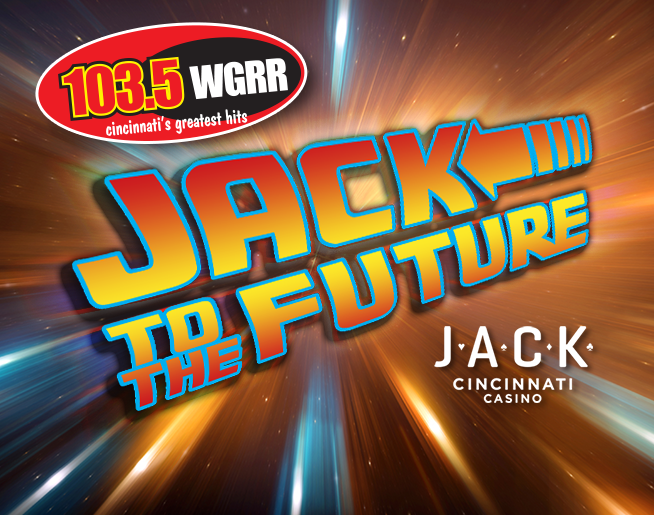 Jack to the Future 80’s Party at Jack Casino Cincinnati and you’re getting in with 103.5 WGRR!